I figured I couldn’t just teach you how to make oat milk and not show you what you can do with it! 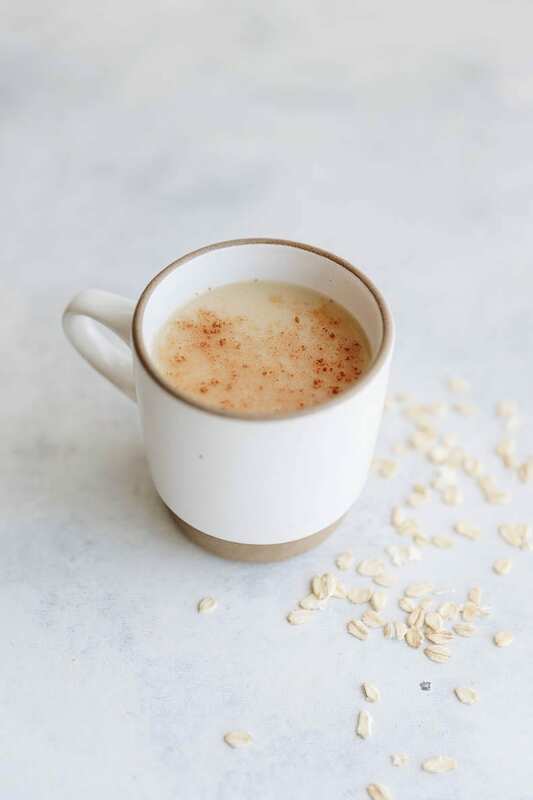 There are so many ways to use oat milk but one of my favorites is in an oat milk latte, which is as simple as it sounds: a latte made with oat milk. 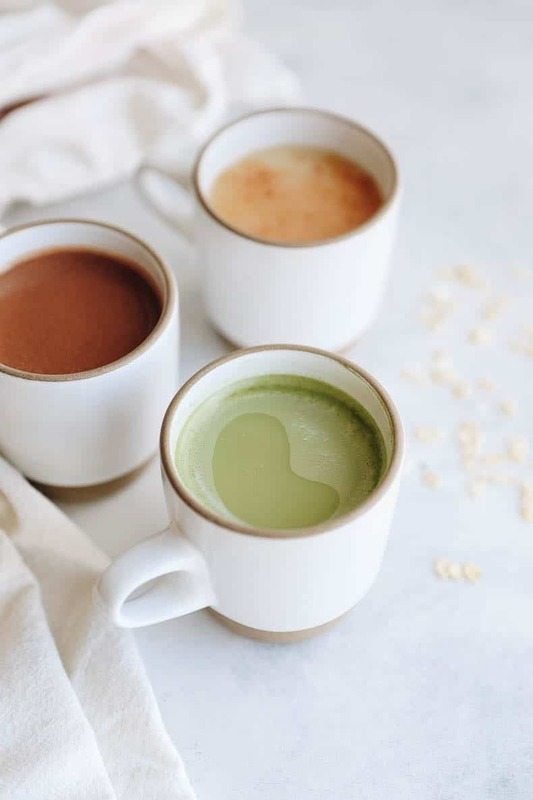 Of course we couldn’t be THAT basic so instead of your typical oatmilk latte, we’re showing you how to make them 3 ways! 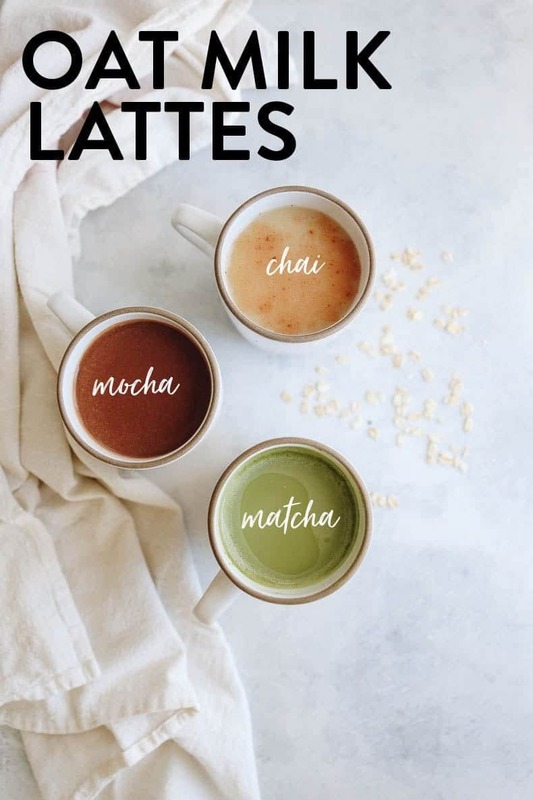 Including this matcha oat latte, mocha latte and chai latte. If you want to learn more about oat milk and how to make it, check out this post. 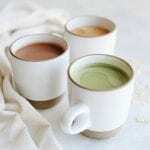 But now that you’ve got the recipe down, let’s chat about a few key points when it comes to making these lattes..
For the matcha lover in all of us, this latte gives the caffeine boost and earthy flavors of matcha mixed with the sweetness of oat milk. 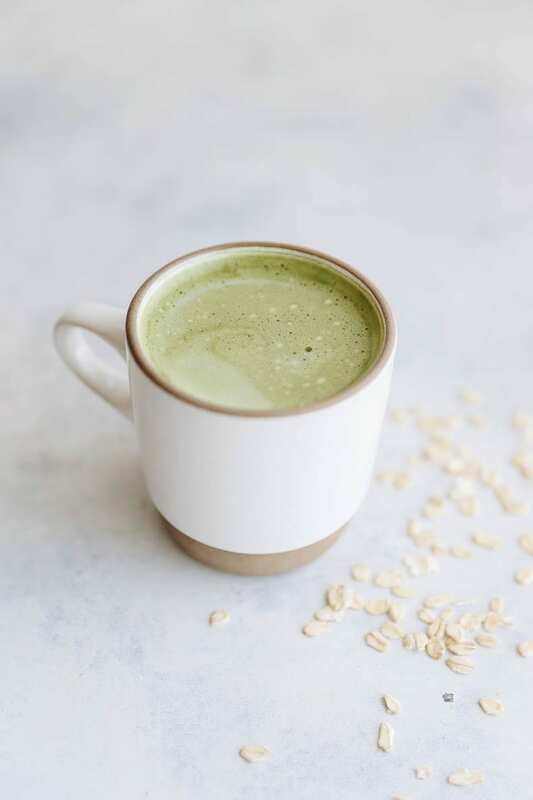 It’s creamy and delicious and trust me, once you go oat milk + matcha, you never go back! 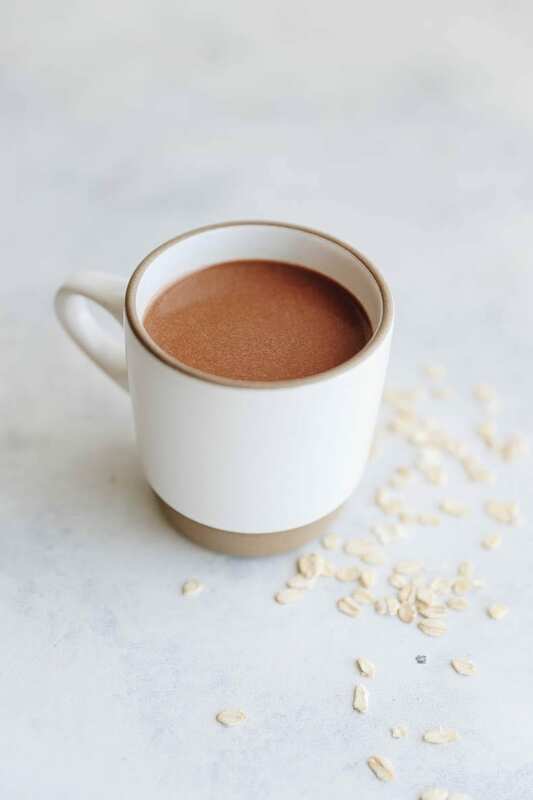 To be honest, I’m perfectly happy adding some oat milk to straight up coffee (or espresso) but we figured we’d kick things up a notch with some chocolate. Pro tip for all lattes: add some coconut butter to make it extra creamy! There were a million and one options for flavors to choose from, but Jess and I wanted to give an ode to one of our favorite tea companies: Yerba Buena Tea Co. One of our highlights is their delicious chai. I truly believe it is the best one on the market. Also if you’re looking to get extra creative with your oat milk latte order some of the Maven Tea Blend I created with them! I encourage you to experiment with different flavors and see which ones you like. Oat milk + coconut butter makes for an epically creamy combo so truthfully, beyond these two things it doesn’t matter a whole lot which flavors you add. But whatever you choose, let me know by using the hashtag #thehealthymaven or tag @thehealthymaven on Instagram. Can’t wait to see what kind of lattes you’re drinking and where you’re sipping them!